Staged at the modern Bangor depot on the Llandygai Industrial Estate, which was built eight years ago, the launch saw Area Managing Director for Arriva Buses Wales, Michael Morton, introduce the vehicles to an invited audience, with his speech repeated in Welsh by Bangor Depot General Manager, Dafydd Williams. His guests included: the Lord Mayor of Bangor, Councillor Douglas Madge (on the day before his 80th birthday) and Lady Mayoress of Bangor; the Mayor of Caernarfon Councillor, William Roy Owen and the Deputy Mayor of Llandudno, Councillor Malcolm Bullock. 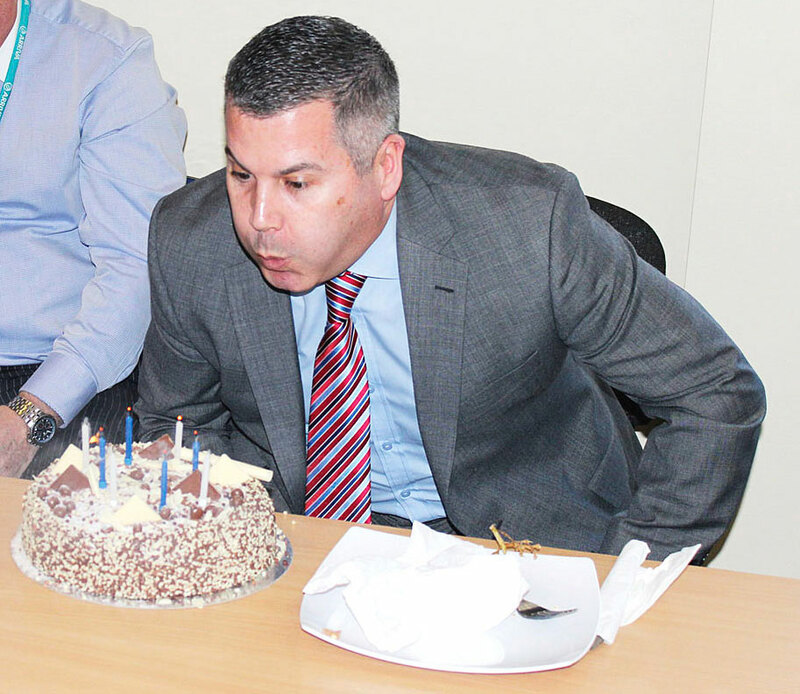 Mike Morgan, who will retire as Editor of a rival weekly title in the coming weeks, and had never officially launched anything before, cut the ribbon to celebrate the launch. He observed how, during his 25 years in the role, the whole emphasis of such events had changed from one of a manufacturer’s pride in winning an order from an operator to the operator’s pride in delivering something new and better for its customers. Although the route is seeing Pulsars replace older Pulsars, the difference between the existing buses and their successors is tangible. Not only do they have Esteban Civic V3 high back coach style seats trimmed in two tone blue e-leather with yellow leather piping, the headrests are also embroidered with bright ‘CYMRU coastliner’ logos. The capacity is 44 plus 32 standees and the unladen weight is only 8,965kg. LED destination displays are fitted at the front, side and rear. 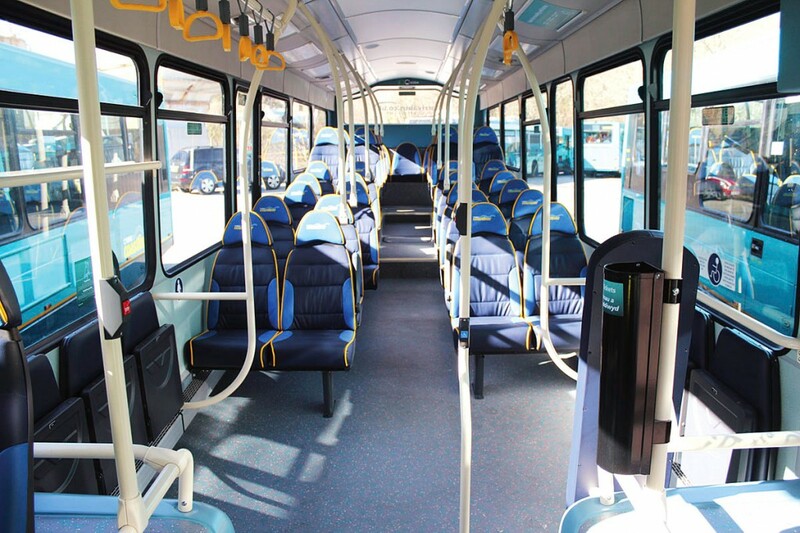 Additional features include Hanover next stop ‘talking’ audio announcements systems and wi-fi connectivity. The wi-fi element is something Michael Morton believes will prove very popular with students at Bangor University. 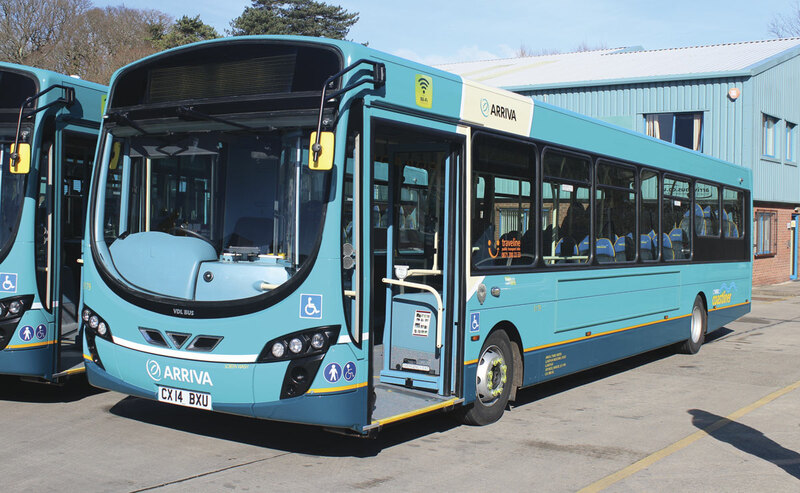 It is the first time Bangor vehicles have been equipped in this way, though it is becoming increasingly popular on Arriva Wales services elsewhere. A trip on one of the new buses around part of the route showed that the seats are very comfortable and present passengers on this important route with a good quality alternative to the car. I’m not so sure about the next stop announcements; though they no doubt assist some passengers they must become somewhat wearing for others. After the trip guests enjoyed a fine buffet and Regional Engineering Director, Phil Cummins, who was celebrating his birthday, was presented with a cake with a representative number of candles that he successfully extinguished, despite having completed a 10 kilometre run for charity the previous day. Bangor has an allocation of 61 of which 18 are based at the separate facility in Llandudno. The PVR is 53. 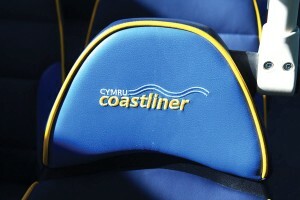 It employs just over 100 drivers with more than 40 additional drivers at Llandudno. The existing Wright VDL vehicles on the 5 and X5, which date from 2005 and 2008, will now be cascaded, after refurbishment, most of them going to Liverpool depots. As a result, more low entry Darts will be withdrawn at the bottom of the ladder. 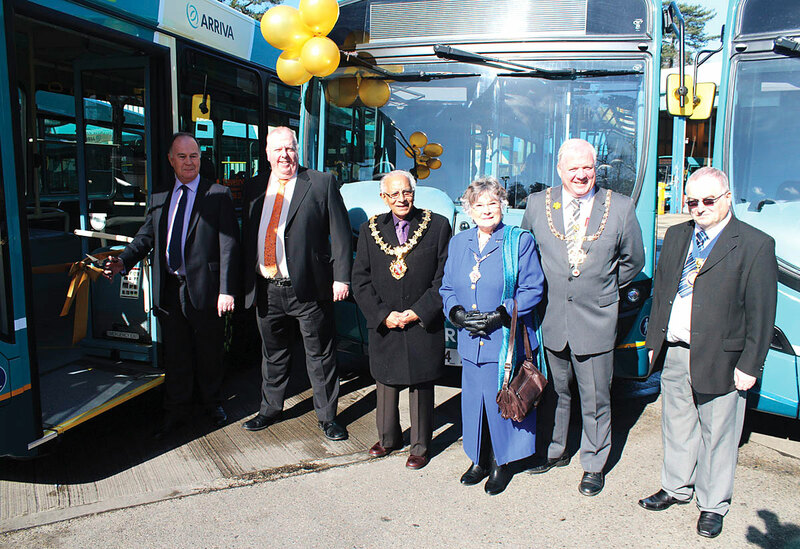 One use for the displaced buses will be at Llandudno where the success of the hourly service 13 to Prestatyn, serving the hospitals and stations is seeing the vehicle allocation increased from three to four. It was carrying so many passengers that timekeeping was being impacted upon, hence the additional bus to increase capacity and reliability. The current allocation on the 13 are DAF SB120 Wrightbus Cadets which were transferred in from Chester in 2012. They are the first brand new buses at Bangor since 2009 when 15 of 17 new Optare Solos for Arriva Buses Wales were allocated there, the other pair going to Rhyl. Speaking afterwards to Michael Morton, he expressed concern about the Welsh Government’s Concessionary Fares Scheme, which he said was, ‘playing havoc with all operators and having a real effect on all journeys.’ The rate of reimbursement has been cut from 73.59% of the adult return fare to a share of a 2014/2015 pot of £65m to cover the country that equates to a reimbursement rate of approximately 64%. CPT has engaged transport consultants, Steer Davies Gleave, to look at the issue and they calculate that under the present regime, for operators to be no better off and no worse off, the rate would need to be 68.3p. For 2015/2016 the pot will reduce to £63m giving a reimbursement rate of 61p and in 2016/2017 it will drop again to £61m giving a reimbursement rate of 57p. Michael pointed out that, ‘at the same time, they say in their communiqués that they are committed to no better, no worse.’ The Concessionary Fares Scheme reductions come on top of other reductions including those to BSSG (BSOG) and cuts in support for tendered services. He further explained that, unlike in England, the route for any appeal was direct to the Welsh Government and said that there was a meeting coming up between CPT Wales and the Government.